After the zombies devs had a little talk about shangri-la mountains, there have been many theories leading to the same conclusion. That Shangri-La is on mars. Here´s another little thing pointing at than conclusion. you will see that the moon while the eclipse is happening, has a crater. Both of the moons of mars have a crater, but deimos is too small to create a solar eclipse. But phobes on the other hand, has every oftenly solar eclipses, occuring almost every night. The crater on the moon in Shangri-La could mean, that it is phobes and it is on mars. One last thing i have not investigated. The smaller moon is said to be shinning like a small sun, sorta like venus seen from the earth. IF anyone can find that little shiny mini sun while in the eclipse, then i know my theory is correct. This is my first post so dont be harsh on me. I believe it was other Tac or Telexion that mentioned something about the second moon in Shangri-La. Could someone please upload a picture of this for me? 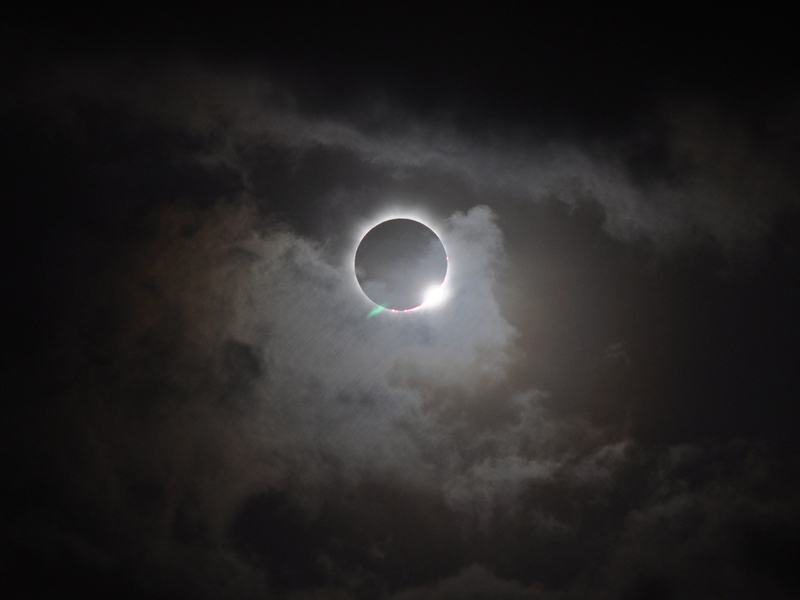 Oh, and does the 2nd moon only appear during the Eclipse or is it there all the time? No sure. As i said i haven't investigated it. Correct me if I'm wrong, but how could Brock & Gary walk to Mars? Brock also proved where they are by saying Agartha. They are within the Hollow Earth, not on Mars. Well not yet anyway. There are too many holes for them to be on the Martian surface. I posted this on Tac's thread. Note: When you enter eclipse mode, there is one moon eclipsing the sun (and looks bigger than our moon). And what appears to be a very close-by Asteroid. Could these be Mars' two moons? So the moons of Mars are named fear and terror. Geez that fits with zombies wouldn't you say? However there are many problems with this. For one we are assuming that the 2nd moon is the asteroid. This is fine in general, the only difference between a moon and an asteroid is what it orbits. Our own moon would be called an asteroid if it did not orbit Earth. However Mars' larger moon would appear to an observer on Mars to be about 1/3 the size of our own moon. The 2nd smaller moon would appear to be about the size of Venus seen from Earth. This is miniscule. So neither "moon" in Shangri la matches up size wise with Mars' moons. The moon creating the eclipse appears to be about the same size as our own moon perhaps even slightly bigger. It's certainly not 1/3 the size of our own moon. This is just more evidence that Shangri la takes place on Earth, as the astronomy doesn't match up. I dont know if u guys have seen this but suposedly after the shang estegg there are no more mountains. Not sure if is true thoug havent try myself. If this is right, is this like a reference of shang move to another palce? They said all 4players saw it, i havent try it out, did you? I was simply saying it could be a glitch, stuff dissapears all the time when im playing split screen. I still dont think theat Shangri La is on Mars. This is why. 1. How could Brock & Gary be there. 2. Shangri La takes place in ancient times so it is possible that there were more moons in the Earth back then. 3. Zombies cant jusr fly to Mars they have to be there and they cant just appear out of nowhere. 3.5. Since Shangri La takes place in the past the people there cant make spaceships and there is no base there for humans to live in. There could be a secret about Shangri La that only Treyarch knows but they are probably making us overlook the map to hard. Ok This supports your theory a lot. This video kinda proves Shangri-La is on mars. Thanks for reading! I don't that there is a crater on the moon over Shangri-La. That looks like an illusion created by the sun's light from behind the moon. http://www.nasa.gov/images/content/7068 ... e_full.jpg here is a photo of an eclipse of the Earth's moon and you can see the same effect of an apparent crater or missing part caused by the light of the sun. Richtofen has the power to teleport people, as we've found from Die Rise. This could have been the case for these travallers. Samantha would have had the same traits and powers as Richtofen has. 3. Zombies cant just fly to Mars they have to be there and they cant just appear out of nowhere. 1. Richtofen can teleport people. Samantha would have been able to do the same. 2. Moons dont just disapear. 3. Mars had flowing water in the past and WAS just like earth. Their could have been peole just like us on mars in the past. 3.5. Who needs spaceships when they could have lived their all along. It's not on mars, there are dents in our moon's surface as well. Shangri la is in the Himalayas! Brock and Gary walked there and we're attacked by zombies there, you can't walk to mars! The tornado on the loading screen depicts how the orbs were moved from their rods and some kind of catastrophic event: NOT TELEPORTING TO THE RED PLANET! To teleport there would mean that when the mpd scanned the earth for maxis, he wouldn't have been there, and wouldn't have teleported to groph in the moon radio, we know maxis was at shangri la before being teleported to moon! Also I'd REALLY wish people would stop adding a "Real PrOoF of shangrila on mars!" ! Link for the load screen pic as I cant be bothered to resize it. Short video, worth watching. Might change your mind about the location of SL. after richtofen teleported to Shangri-la the first time didn't he walk out of the jungle to get back to schuster?